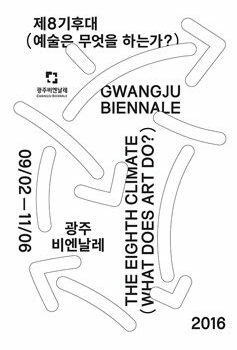 Jubilee has been invited by Maria Lind, director of the 11th Gwangju Biennale, and curator Binna Choi, as one of the Gwangju Biennale Fellows to the three-day Forum entitled To All the Contributing Factors. The GB11 “Biennale Fellows” consist of one hundred small and medium scale art organizations from across the world, whose work makes important contributions to the art of today, yet remains under the radar. In the forum, Biennale Fellows, as well as their peers and colleagues, are invited to come together to manifest a critical mass in the artistic context internationally, share experiences and discuss the future of this kind of work, especially with regards to questions of value, continuity and scale. Maria Lind, Binna Choi and their team want to use the occasion of working on a biennial to acknowledge the invaluable work of small organizations across the globe. They believe such organizations often function as the research and development department of the art world, generating new ideas, supporting artists to experiment and cultivate their practices, and shaping new curatorial and educational methods; foster active relationships to their immediate surroundings, be they urban, suburban or rural and keep open to other fields of knowledge and social movements. This way they make differences in relation to dominant mainstream developments. Jubilee will take part in presentations and discussions during the Forum. To All the Contributing Factors will take place from 2 September until 4 September 2016 at various locations in Gwangju.